If you want a more in-depth look at the Oyster Perpetual Black and White, have a look at our Hands-On (article & video) with the Oyster Perpetual. For a full overview on the Explorer I from past to present, make sure to check out our Buyer’s Guide: Rolex Explorer I. The Oyster Perpetual is of course not at all an Explorer, despite it being the ‘original’ explorer’s watch… However, I thought it would be worth comparing the OP (and certainly the OP with black dial) against the current Explorer. Primarily because the OP is available in more sizes than the fixed 39mm for the Explorer which can be good news for small & big wrists alike. First, they have the same roots as detailed in our Explorer article from a while back. 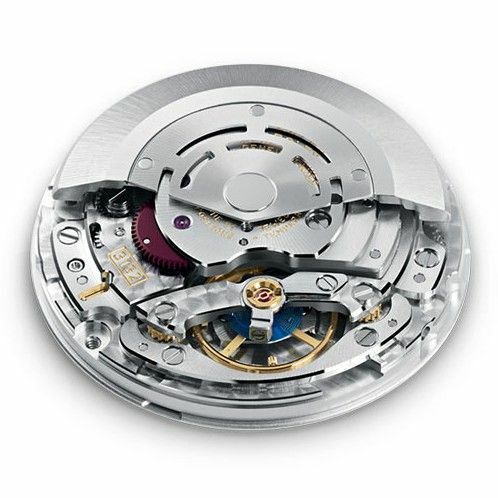 They also share the same 39mm case and 3132 movement with its Parachrom hairspring and Paraflex shock absorbers. As mentioned, the OP is also available in smaller sizes which may be good news to some looking for a smaller case more akin to the older vintage watches or vintage Explorer. They both have a satin brushed Oyster bracelet. 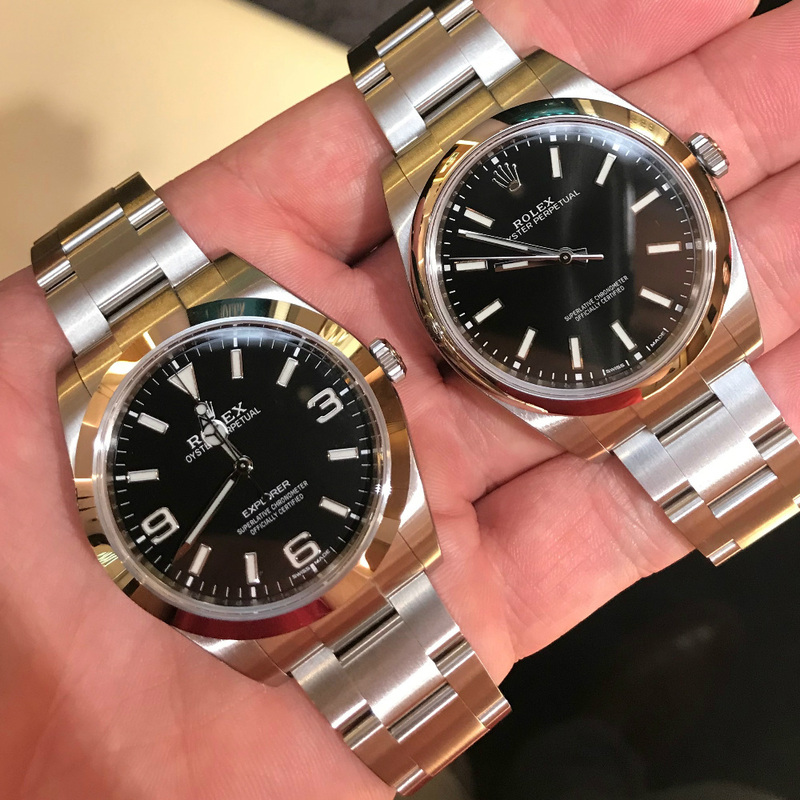 Both are made from Rolex’s 904L steel also known as ‘Oystersteel’ and as per Rolex “most commonly used […] where maximum resistance to corrosion is essential. Oystersteel is extremely resistant, offers an exceptional finish once polished and maintains its beauty even in the harshest environments”. In addition, like all of Rolex’s watches, both have exactly zero AR coating on the crystal. Bracelet is the same yet the clasp is quite different. The OP has a standard ‘Oyster Clasp’ and the Explorer being from the ‘professional’ range has an extra security on its Oysterlock clasp against accidental openings. In addition, it has the Easylink comfort extension link, so you can finetune the fit throughout the day, quite handy. A very big difference which is virtually impossible to tell from pictures alone is the bezel. 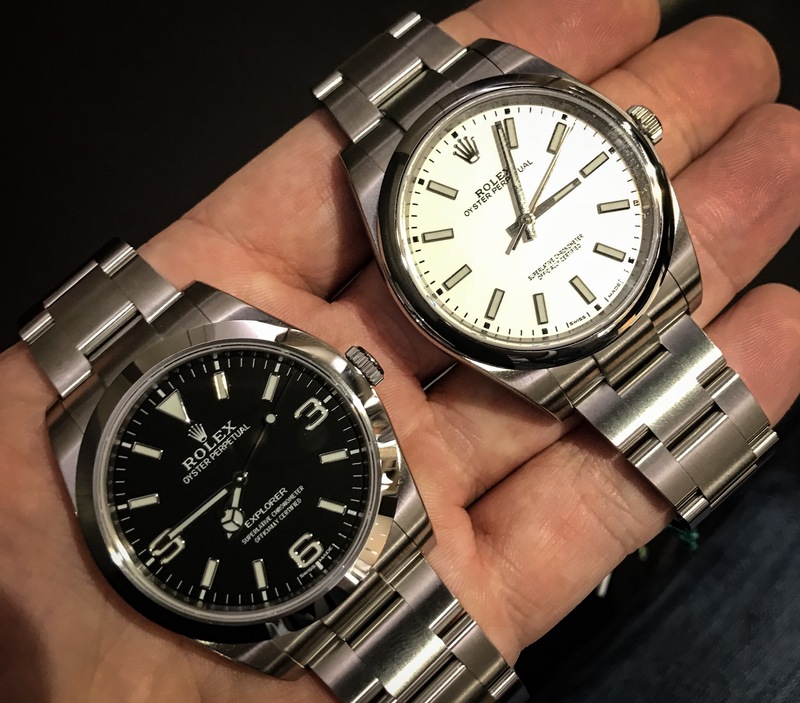 The Explorer has a very flat bezel, the OP has a very round bezel. This small difference makes a very big difference in the overall appearance of the two watches. More on that below. The EX looks & feels a lot more casual to the OP. The EX to my eye ‘wears’ smaller than the 39mm OP. Both watches are versatile pieces, no doubt. There are clear similarities and at the same time considerable differences, the main ones are not visible in pictures. Anyone in doubt should go and check both out in person before making any decision. The OP is overall much dressier with the glossier dial, batton hands and rounded bezel. Whereas the EX is bolder and more sporty. The round bezel (OP) vs the flat bezel (EX) make a very big difference in look & feel of the watch. Small differences make for two very different watches? Thanks a lot for putting this up. Very hesitant between both, but the new dial OP isn’t available yet here. Do you know if these will be available in stores soon? Or did you take these at Baselworld? For now – yes 🙂 I liked that it was more sporty overall, but it was a really tough call (as you know). Especially the new white-ish dial OP – really nice looking. Sincere thanks by the way for your help in scouting one out, very much appreciated! The Explorer looks bigger because it is bigger. It’s not the round or flat bezel that makes it look different. 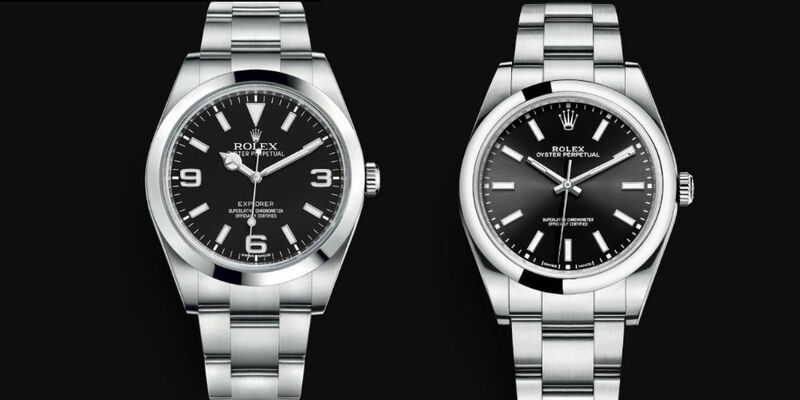 Rolex says 39mm but the op is closer to 38.5mm and the ex is closer to 39.5mm.